A security checkpoint at the Colorado Capitol on Monday, Feb. 26, 2018. 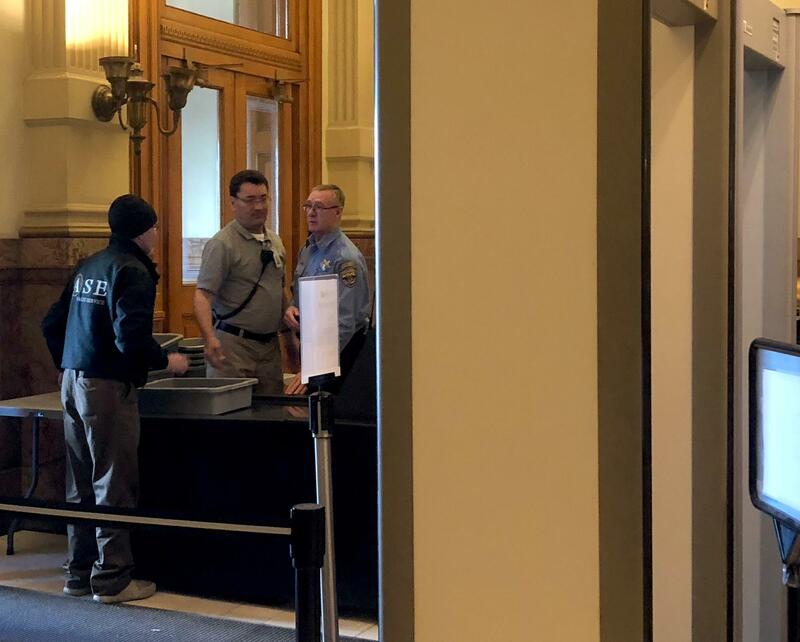 Colorado’s Capitol, like 28 other statehouses across the country, has security checkpoints at public entrances. There are metal detectors that visitors and lobbyists must pass through under the watchful eyes of State Patrol officers, who are there to protect everyone in the building and keep illegal guns and other weapons out. But for some, the security is too much. “It’s easier to get on an airplane than it is to get into the people’s Capitol,” said longtime lobbyist Mike Beasley, who often has to empty the contents of his pockets to go through security because he leaves and returns several times a day. And the routine for all visitors, including Beasley, just got longer. For the first time this year, officers at the checkpoints are requiring people to remove their belts. Sometimes Beasley and others are late for meetings because of the long lines. The State Patrol said a change in command has led to a strict adherence to its safety policies. Beasley is one of the supporters of Senate Bill 18-116, which would create an airport-style pre-check system so that frequent visitors can bypass the security gates after getting a background check. That's already been done in a handful of other states. “We’re out of balance in terms of security requirements and public safety,” he said. There's already one group already can glide through without security hassles: lawmakers, who can enter the Capitol elsewhere, using a card through secure doors. Moreover, several lawmakers bring their guns to the Capitol, carrying concealed weapons under a state law that allows people to do so in their place of business. However there is a conflicting statute that says concealed weapon permit holders are not allowed to carry inside the Capitol. 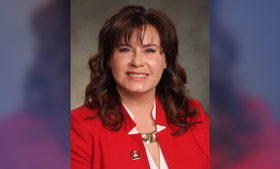 Rep. Lori Saine, R-Firestone, said she regularly carries a concealed gun. She sees carrying it as a measure of self-defense as well as a way to protect others. In December Saine was at the center of a debate over Second Amendment rights after she was arrested at a security checkpoint at Denver International Airport with a loaded gun. Ultimately prosecutors dropped the case , and essentially said Saine made an innocent mistake and did not intend to violate federal laws on transporting firearms. That hasn’t always happened inside the Capitol. Four years ago, a state lawmaker accidentally left his gun unattended in a committee room after a hearing let out and Rep. Jonathan Singer found it. “Where you enter a government building where there are heated vigorous debates and people are on edge, and sleep deprived and, let’s be honest, there are people in this building who are drinking, that can be a deadly mix,” Singer, D-Longmont said. The Capitol added security checkpoints in 2007 when an armed man threatened Gov. Bill Ritter. Officers shot and killed the man. That incident and the many shootings in the news make some lawmakers hesitant to consider any security changes. Winter is among those to complain about sexual harassment. She has filed a formal complaint against a fellow Democrat in the House. Three Republican senators have faced separate complaints. 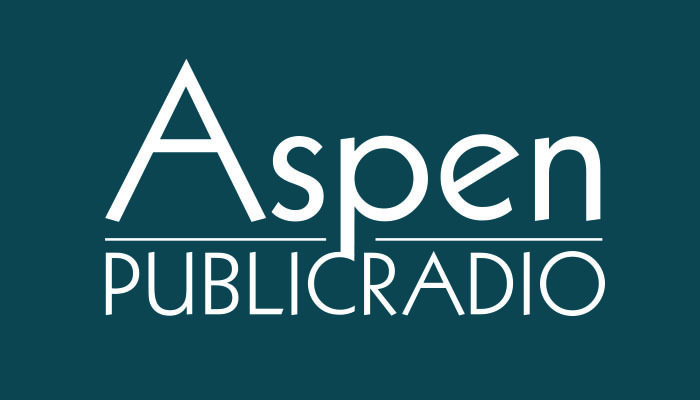 “In this moment, it’s a perfect storm of a cultural shift, a lot of tension, and then lobbyists pushing a bill to decrease security and that doesn’t make any sense to me,” said Rep. Alec Garnett, D-Denver. Guns are at the center of many fears but they are also a notoriously heated issue in Colorado. Democrats passed stricter gun laws after the Aurora Theater Shooting in 2012 and that led to efforts to recall two Democratic lawmakers (both successful). The bill is sponsored by three lawmakers in both chambers, including Sen. John Cooke, R-Greeley, a retired sheriff.